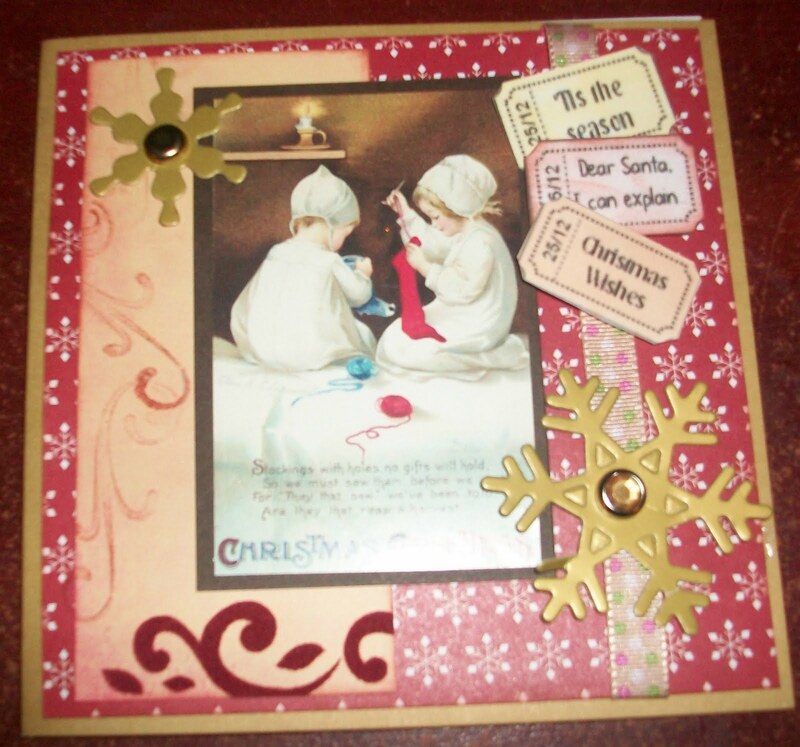 Yet another - and probably one of my last - christmas card with a vintage theme. I just love the 2 little girls sewing up holes in their stockings so the presents don't fall out. Can't believe that any children nowadays would do that! Well most of my cards are written, presents wrapped and the freezer is filled - and I hope you all are prepared for Christmas too. All I want is for the snow to disappear by Sunday so that I can make the 4 hour trip to my sisters to drop off her presents! Beautiful card Alizabethy, such a sweet image. Have safe trip on Sunday. 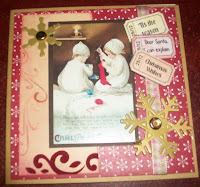 Such a gorgeous card, fab image and beautiful papers - more like that they would be creating the holes than sewing them!